100% Herbal Henna Cone Paste . Natural and safe for all skin types. Longer lasting Enhance your beauty. Just open, screw on nozzle and apply. 100% Herbal Henna Cone Paste with Guaranteed Dark Red Color. It is halal, natural and safe for all skin types. Not only is it Sunnah (practiced by Prophet Muhammad SAWS) but it also has medicinal properties to it. Waterproof Henna Medically safe, has no side effects & no Irritation. Quick dry, lasting dark color,full instructions on tube box. 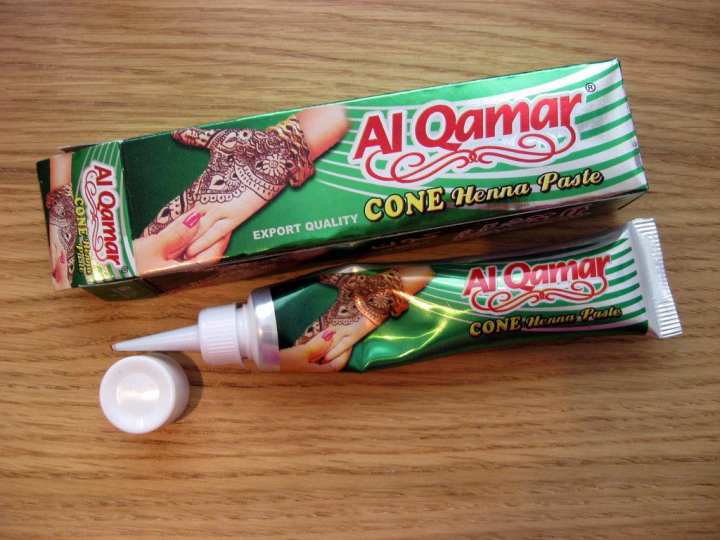 Export quality henna paste in plastic 'toothpaste type' tube with nozzle attachment. For Use :Occasions, Eid, Marriages other Ceremonies & Body Tattoo.